Dry roast the horse gram till it turns dark brown. Coarsely dry grind red chilly & horse gram. Add garlic, tamarind, curry leaves, coconut, coriander, salt & grind it to thick paste. Add water little by little while grinding. 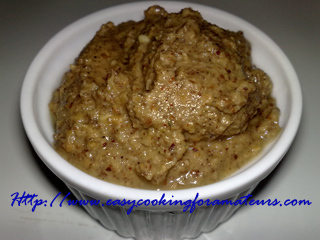 Horse gram Dip/ kulthi chutney is ready to serve. Thats a very healthy and delicious chutney. Chutney packed with iron and all the yummy flavors.I love it :)!!! A very new n delish recipe..will try! hey...this sounds very interesting n healthy...wanna try soon..
lovely chutney and looks tempting !